Spanish Rose, Yorkshire Thorns starts in 1957 under the vivid blue skies of Catalonia. Wearing a white satin gown in a church surrounded by pine trees, Maria Salvans marries James, putting faith in their future together despite her and her family's doubts. The young couple emigrate to Yorkshire to work at a grand house on the outskirts of Leeds. But Maria's hopes of a better life turn to disappointment. England can be a cold and unwelcoming place, and the romance soon fades as her husband proves to be feckless and selfish, more interested in repairing cars than taking care of his growing family. Faced with betrayal by those around her, Maria calls upon her endurance and resourcefulness to raise her children and keep a roof over their heads, eventually finding a strength and independence that she would never have thought possible. 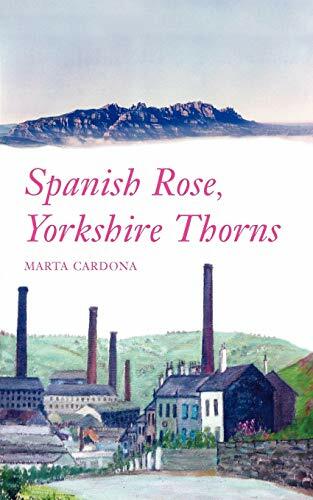 In her first novel, Marta Cardona vividly brings to life the atmosphere of Leeds and Huddersfield in the 1950s and 60s. Yet Maria's own inner thoughts and struggles are just as clearly portrayed, by a powerful and authentic Catalan voice.